Xore on-stream analyzer at Boliden, Aitik mine. Customer case. In the northern parts of Sweden, near Gallivare, lies the Boliden Aitik mine. It was first established in 1968, and has since then grown to be Sweden’s largest copper mine, milling over 36 Mtons of ore in 2015. From the ore some 67.000 tonnes of copper was extracted along with byproducts of silver and gold. Aitik's productivity is higher than any other copper mine in the world. The company has invested in a Xore on-stream analyzer at Boliden, Aitik mine. The low head grade of copper sets the requirements for the analyzer. First of all the detection limits need to be well below the average grade to cover the full range of process variations. Another challenge is that the analyzer has to give consistent measurements even with a weak signal from a highly diluted sample. 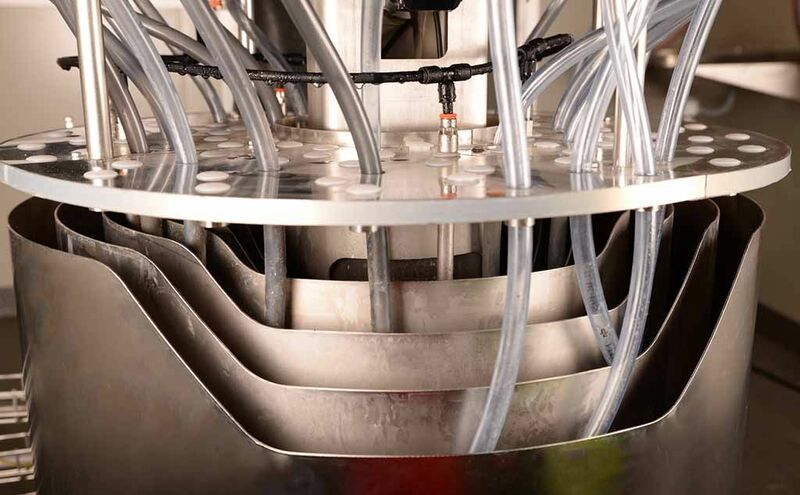 With a high production pace all this has to be fulfilled at a equally high pace from the online analyzer in order to be able to achieve a proper process control, whether it is manual or automatic. Boliden Aitik concentrator plant has a high copper recovery of some 85-90 %. With a low head grade and high recovery there is very little copper left in the tailings, about 0.02 – 0.05 %. This is a challenge to measure for an on-stream analyzer but the Boxray analyzer’s energy dispersive detector enables very low detection limits and reliable measurements even at these low grades. The final product is a copper concentrate typically consisting of 25 % copper, 250 g/t silver and 8 g/t gold. The extreme difference in magnitude between the concentrate and head grade and tailings introduces a risk of contamination from the concentrate to the other samples. The Boxray 24 eliminates this risk by having separate sample loops and measurement cells for each sample stream. The Boxray Compact uses two measurement cells so high grade samples are kept in one cell and low grade samples in the other cell. These features are unique to the Boxray on-stream analyzers. The flotation circuit is monitored with a single Boxray 24 on-stream analyzer. Process control is based on a large array of sample streams and accurate process data from the online analyzer being updated frequently.The control room in Boliden Aitik relies on a single analyzer to provide them with process data. Other mines of this size often have to use multiple analyzers in order to achieve acceptable performance and an acceptable level of availability. The Boxray 24 has on it’s own high enough capacity to do the job sufficiently fast and accurate. With a service program consisting of preventive maintenance on a regular basis the availability is maximized. “To run an operation of this scale and dignity with a single Xore on-stream analyzer at Boliden, Aitik says a whole lot about the analyzers performance and reliability“ says Mikael Normark, CEO of Xore. Facts and figures, Boliden Aitik mine.